The Golden Coast Resort Hotel is situated in a directly on the beach of Colakli. The ancient Side is just 9 km , Antalya airport 55 km away. 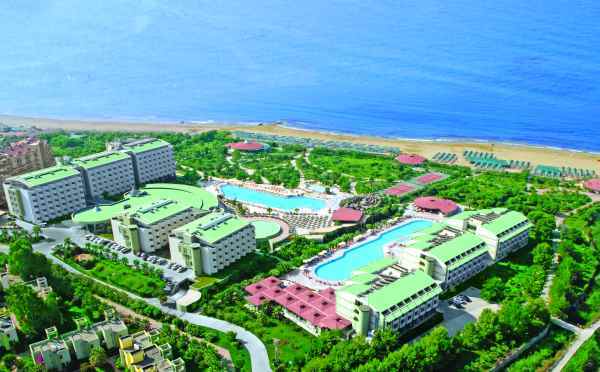 Reception, lobby, 2 main restaurant, snack restaurant, a la cart restaurants –Turkish, Barbeque, Fish and Italian, 6 bars, outdoor swimming pool with children's section, aquapark, indoor pool, indoor pool for children. 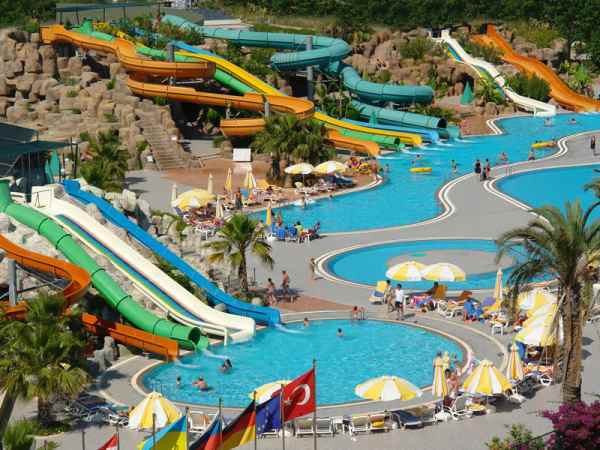 Aquapark, fitness, tenis, table tenis, volleyball, darts, boccia, miniclub, gymnastics, water gymnastics, aquapark with 11 water slides, sauna, Turkish bath. 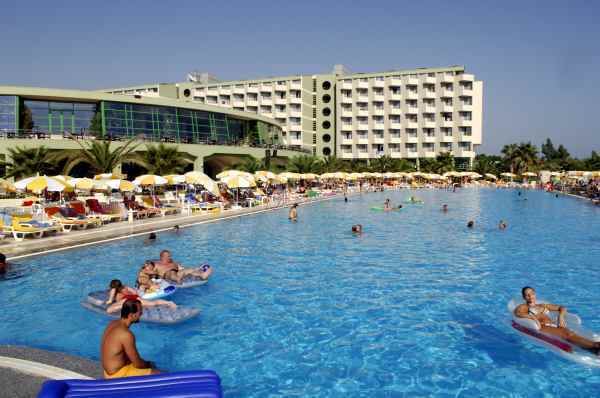 Massage, peeling, food and baverage in aquapark, computer games, bowling, internet, biliards, laundry, all water sports, minibar, beach towels, safe, lunapark. Bathroom with hairdryer, telephone, satellite TV, safe, central air-conditioning, minibar, carpet, balcony. Situated directly on the sandy beach. Sunbeds, umbrellas, matrasses available free of charge. Unlimited soft and alcoholic local drinks from 09.00 till 24.00. Open buffet breakfast, lunch & dinner. Coffee break, afternoon snack, midnight soup, Turkish pancakes - gozleme.